Contact our Membership Coordinator and tell us a little bit about yourself; your age, riding experience, what city you live in, and if you own your own horse. Please include a contact phone number. Our coordinator will contact you with information and send you the application forms. What do I get when I join Millbrook Pony Club (MPC)? and last, but not least, lots of new horsey friends and fun! Technically, there is no minimum age but the recommended starting age for members is 5 years old. Members may remain in Pony Club through December 31st of the year in which they turn 25. Ownership of a horse or pony is not required for membership, but arrangements for obtaining a suitable mount must be made on an individual basis. Horses and ponies must be at least five years of age for USPC activities. Stallions are unsuitable mounts for Pony Club activities. Please note: The first year is considered to be Jan. 1 following date of foaling. What if I don’t have a pony, what if I have a horse? It doesn’t matter, so long as the mount is suitable according to Pony Club policy. The word “pony” in United States Pony Clubs comes from the British Pony Club and was originally used to refer to the size of the rider, not to the size of the horse. A good rule of thumb to help determine if the horse is suitable: the age of the rider + the age of the horse should equal at least 21. What if I don’t have my own horse trailer? Our club tries to arrange rides for members who do not own a trailer. While we try to help as best we can, we can not guarantee a ride. What kind of clothes do I have to buy? USPC is committed to safety. It is a membership requirement that Pony Club members wear an ASTM equestrian helmet having a seal bearing the letters SEI (Safety Equipment Institute). This type of helmet is mandatory and must be worn with the retention system properly secured at all times while mounted. Parents should also be prepared to purchase the minimum basic riding attire such as riding breeches and riding boots. Proper footwear is required at all club meetings involving a horse. What kind of helmet do I have to wear? Only ASTM/SEI approved helmets are allowed according to Pony Club policy. How much does it cost to join Millbrook Pony Club? As of January 1, 2017, new member dues are $190 for the calendar year and continuing member dues are $180 for the calendar year. If you are a NEW MEMBER who joins after January 1st, you may join as a prorated member. Of the total dues paid, Millbrook retains only a portion for club expenses, $25.00. The remainder are fees to cover national and regional dues including insurance, an initiation fee for new members, and $25.00 for the annual New York/Upper CT regional fee. A parent Sponsor is an individual voting membership (for club policy & officers) for a parent/guardian of an Millbrook Pony Club member in good standing (dues current). Sponsor membership cannot be shared between spouses. Parent Sponsor dues are $10.00 additional per year per person. How often does the club have meetings? Millbrook generally has at least one mounted meeting/clinic or unmounted (or dismounted) meeting each month, except during the summer months when we hold camp. During unmounted meetings members learn about feeding, shoeing, veterinary care, and other areas of horse management. Under adult supervision, the more experienced Pony Clubbers instruct and assist younger members. Meeting/clinics are posted on our calendar with the RSVP deadlines. How do I get directions to meetings, clinics and events? Directions to meetings, clinics and events are included in the calendar postings. Directions are also included in the information emails announcing these events. Do my parents have to “know” horses? Parents play an important role in Pony Club! There are many areas in which parents are needed, many of which do not require equine knowledge. Millbrook parents are required to assume a volunteer role within the club such as club leader, chaperone, webmaster, club hospitality, camp organizer, jump judge, or assist in activities, rallies and fund-raisers. Do I need to/can I take riding lessons in addition to Pony Club? Most members take riding lessons in addition to their Pony Club activities. I understand that all your club communications are via emails and through website postings, do I need to own a computer? Due to the size of Millbrook Pony Club, we communicate with our members via emails and our website. All prospective members and members must have an email address and be able to access our website to review our calendar and club announcements on a regular basis. If I have a question, who do I ask? New members should address their questions to the Membership Coordinator. Continuing members should address their questions to our District Commissioner (DC), our instructional coordinator, our rally coordinator or the appropriate person for your question. Experienced Millbrook parents are always happy to mentor you so just ask! Our upper level pony clubbers are also great resources. All members should check the website first, to make sure the information you are seeking is not there already. Where do I get Pony Club materials? D, C and H-A/A manuals, rally rulebooks, equine related books, videos, charts, dressage tests, clothing, pins, etc. are stocked by the USPC Shop, Millbrook’s Merritt Bookstore or any other place you buy books. You may order online or through their catalog which is sent to members on an annual basis. Required reading and videos listed in the Standards of Proficiency for all rating levels as well as rally rulebooks are in the Millbrook Library (Millbrook’s library lends to members and parents only for a period of 2 weeks). Standards of Proficiency, rally rulebooks, forms, rating tests, flowcharts, Health and Maintenance Record Book and Guide, Equipment Checklist and USPC Release Form – all this information and much more can be found on the USPC website. How do I learn about ratings? Local ratings D-1 through C-2 are scheduled through our club and are usually held twice a year in the late spring and late fall. Information, deadlines for signing-up and rating dates and details are posted on our calendar. Information about the C-3, H-B, B, H-A and A (aka “Upper Level” ratings) are posted on the USPC website. Rallies are region-wide competitions held in various locations throughout New York and Connecticut. MPC is a member of the New York/Upper Connecticut Region Pony Club. There is usually one rally per pony club discipline held each year. How do I qualify for USPC Championships? For a Pony Clubber to compete in the annual USPC Championships, they must first qualify at their regional rally. An individual Letter of Intent is submitted with the rally entry form for each rally where the competitor is interested in qualifying. Is Millbrook a not-for-profit organization? 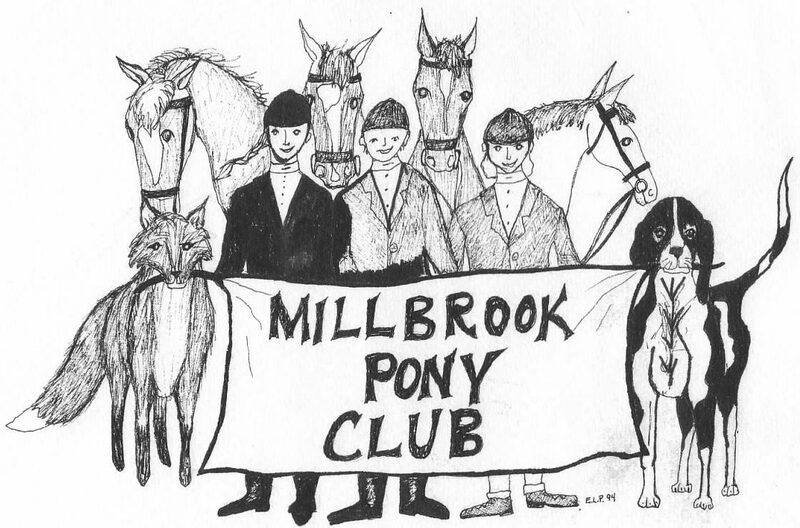 Yes, Millbrook Pony Club, as a member of the United States Pony Club is a not-for-profit 501(c)3 organization and is federally tax exempt.